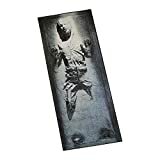 Whether you live in a tree hut on Endor, a condo in Cloud City, permanently on a starship, or just in a boring house on Earth, this cool new Death Star Rug will look right at home. 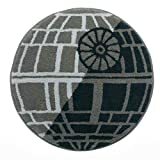 Show your support for the glorious Empire with this fully operational yet non-walking carpeted version of the infamous Death Star. 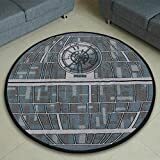 Yep, a giant 52" diameter circular rug that looks like the Death Star now exists. 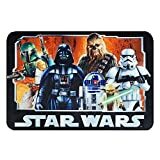 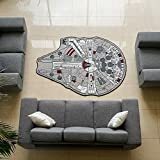 Star Wars Large Millenium Falcon Rug, 59" L x 79"